Senior Thakarius Keyes prepares to build on his success as a cornerback during his final season next Fall. 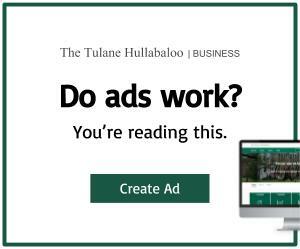 For the first time since its AutoNation Cure Bowl victory, the Tulane football team will take the field for its annual spring game on April 13 in Yulman Stadium. Tulane retains 13 of its 22 starters from last season, giving a chance for reserve players to step up while also keeping a foundation for success from last season’s team. Six members of the 2019 recruiting class will be featured in the game after joining the team earlier this month for the beginning of spring practices. Linebacker Nick Anderson brings a combination of talent and experience to the Green Wave defense after spending his freshman season playing at Jones County Community College in Mississippi. Anderson lead the Jones County defense in total tackles with 74, including two sacks and 8.5 tackles for loss. Redshirt senior wide receiver Jalen McCleskey, a transfer from Oklahoma State University, also adds invaluable experience to the team after spending four years with the Cowboys before deciding last fall to transfer to Tulane for his final season. In his time at OSU, McCleskey racked up 167 receptions for 1865 yards and 17 touchdowns. His one touchdown on 33 punt returns also adds more depth to Tulane’s special teams’ personnel. Jalen is the son of J.J. McCleskey, former NFL player, and current Tulane football secondary coach. 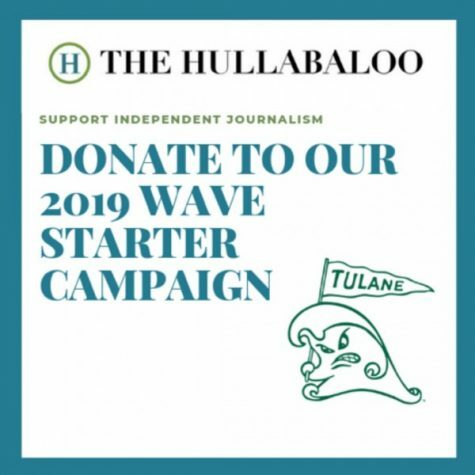 Along with the new signings that will make their debut at Yulman, many of the returning players are looking to step up into starting roles left by the graduating seniors, particularly on the defensive side of the ball. 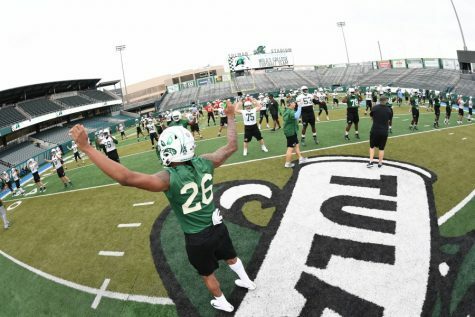 Starting spots will be available at both the cornerback and linebacker positions as defensive starters Zachery Harris, Donnie Lewis Jr. and Roderic Teamer Jr. all finished their last season with Tulane this past fall. All three players earned All-American Athletic Conference honors for their defensive performances, leaving large shoes to fill for the rest of the team. Tulane’s 2019 spring football games will allow players, old and new, to show the impact they will be able to make when the official 2019 season begins on Aug. 29. Tulane will play Florida International University for the season opener at Yulman Stadium.